Once upon a time, in a certain place, and there lived a grandfather and grandmother. One cold winter day, grandfather to townfirewood(Firewood)Go out to sell,trap(Trap)It was Yari to help find a crane that takes in are suffering from. That night,Who(Who)Or it was knocked at the door of the house of his grandfather. When the old man opened the door, beautiful daughter, "I got lost on the road, please stop overnight." So say, poor thing I thought the old man had put a daughter in the house. Snow from the evening Furitsuzuki much, you can not go outside. Meanwhile, the daughter to take care of his grandfather who, "because it alone, please to my daughter." He said. The old man who was overjoyed. One day, the daughter, "Machine(flag)TheWoven(Contact)Tsu to try. But, please do not look into the room absolutely. Confined to the room to say ", I was weaving machine. Daughter woven cloth is beautiful, it has sold high. After that, the old man who is the daughter of the woven clothLot(A lot)Money is now to enter the hand. "My daughter would Why Orel is Anna beautiful thing." Said the old man who broke a promise, I have except for the room. Then, one bird of the crane had factored in between the yarns and sewing their own wings. Came out daughter in front of the old man who are surprised, "is a crane I had you help the old man. Now that was seen a figure, I can not help here." And say, the appearance of the crane it is whirled, I have disappeared into the mountains beyond. God of the sun,day(Sweet)Photo(Terrace)Omikami(Omikami)To but Iwatobasket(This)So it has been, or gods can I do to the eldersFathom(It was not)When sleeping,darkness(Darkness)But it is said the well rather than chicken, as collected by Nakaseru before Iwato,Heaven 宇受 Uinochi(Preciousness of Uzume of sweet (candy))Climbing on the stage that was nestled in front of the Iwato stepped forward, I began to dance the dance according to the cries of the chicken. GraduallyFun(Today)And come riding heaven 宇受 Uinochi the dance while stripped off his clothes was wearing, gods and handknee(Knee)Was excitement to dance beating. Too muchLively(Grip)The Amaterasu of among Iwato to Yakasa, and "everything wonder. "Clearance(gap)から表(Table)Looking except, heaven 宇受 Uinochi is without missing a chance that except, "than you like, morePrecious(To rattan)So had God has been sent here, everyone is willing toNoisy(Sawa)There than that Do not. "And multiplied by the voice, God of other Futari is projecting a mirror in front of Amaterasu. When Amaterasu the figure in the mirror without knowing is to be yourself lean from Iwato,Heaven Chop man(All from Takoto of sweet (candy))God is taking the hand out of the IwatoGuide(Michihi)Come, another of God around in the back at the same timesacred shrine rope(Sacred shrine rope)The tension, and not return again to Iwato, was supposed to lead a day-to-day in a bright peace as before. 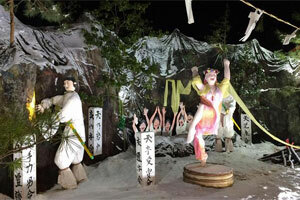 Mythology, such as the Iwato of heaven, has been reported in many countries with the sun faith. The time of the winter solstice, the light of the sun is the mostAttenuation(Otro)Meant to be when there was example, it bears witness the changing of the seasons that change born in or new life in the spring. Once upon a time,Takamagahara(Takamagahara)In the gods of the world that,day(Sweet)Photo(Terrace)Omikami(Omikami)Is the younger brother GodSusa(Plastering)This man(Ax of)life(Precious)There, you can break the rice fields,Palace(Palace)The dirty or the, had annoy the gods was that violent. Amaterasu will Kabai the younger brother, but Susa riding in tone Noriyuki Otokoinochi does not stop violence. Amaterasu is, anger wildly that extravagant degree, I have hidden in the amano-iwato. When the god of the sun is in your hidden, the world becomes total darkness, variousMisfortune(Woe)It has occurred. there,Eight million(Yaorozu)Gods ofday(Sweet) OfSafe(Ease)Dry riverbed(Kawara)They gathered in a place called, to get Odemashi from Iwato to Amaterasu, made a consultation with or would I do? 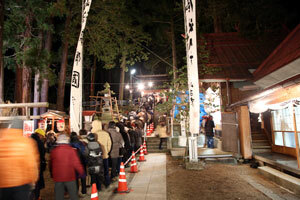 As a result, in front of the Iwato, it will be a lively festival. Heaven 宇受 Uinochi(Preciousness of Uzume of candy (sweet))ButShinto music(Kagura)And the interesting, funny dance dance,Length songbirds(And in defunct Do is)Is out squeal, the gods saw an interesting dance, it has suddenly raised the laughter. The Amaterasu heard the roar, tried to see the outside by opening a little Iwato and how everything happened. At that time, of the steroids that were hiddenHeaven Teryoku Otokoinochi(All this only and from Takoto of candy (sweet))But, much tossed pushed open and as it is to far away Iwato, because it was able to put out the Amaterasu out, the world has returned to the bright and peaceful time again. 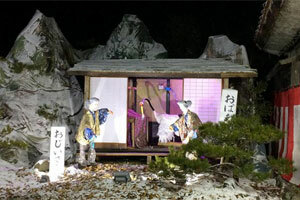 At this time, the story that was tossed heaven Teryoku man life is "Togakushiyama" has reportedly talked for a long time as a mythology of Japan. Takeda is destruction, and also next to death Nobunaga Oda, what happened is a conflict between the Sanada clan and the Tokugawa around the Joshu Numata territory. Ieyasu Mototada Torii for Sanada subdue, to dispatch Tadayo Okubo et al about seven thousand soldiers to Sanada's headquarters Ueda castle. Tokugawa army deployed troops in the vicinity of the Kokubunji Shinano. Sanada who, on the other hand is said to be about two hundred thousand, Masayuki the Ueda castle, the eldest son, Nobuyuki was siege to the grindstone Castle. 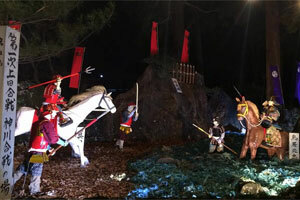 Masayuki is to fight off Tokugawa way that Semeyose to Ueda castle Ninomaru, further multiplied by the chase. Also Nobuyuki grindstone CastleWeir(Cough)Breaking the bank of Kamikawa, which had been stopped, it invaded from the flank. Water was attacked as the flood in the Tokugawa side of the officers and men of Kamikawa that was unleashed at once to escape. By tactics that take advantage of the geographical advantage of this Sanada hand, Tokugawa army is said to have issued a war dead also Sensan hundred people, on the other hand, Sanada army was the victim of about forty people. 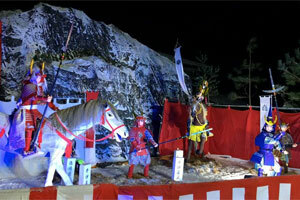 This is the world say the primary Ueda battle-Kamikawa battle. 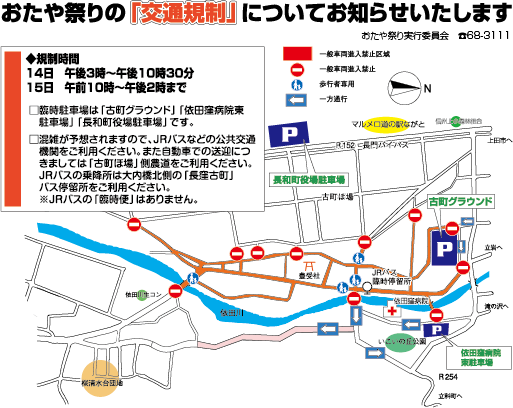 Then various Masaru Tadayo Okubo et al also also repeated Sanada biased and skirmishes remain in Komoro Castle, retainers Ishikawa number of positive Fudai is to Toyotomi houseAbsconding(Absconding)It leads to a situation in which, completely withdraw. Sanada army repel admirably ten times the enemy, news of "Tokugawa defeat" the Tour of the world, became a presence to be reckoned from the "dreadful Sanada" and feudal lords. In addition, growing also evaluated for the Sanada clan of Ieyasu Tokugawa by this battle, so as a result marry the Honda is the daughter of Tadakatsu Komatsu princess to Nobuyuki SanadaConciliation(Monster)It gave birth to. Traditionally, the second son-Nobushige of Masayuki have this time, is to have stayed in Echigo-Kasugayama Castle as a hostage to the Uesugi. However, in a recent discussion, along with the helping of the Sanada clan of Uesugi in this fight, return to Ueda, it has also emerged theory to have been both fighting. 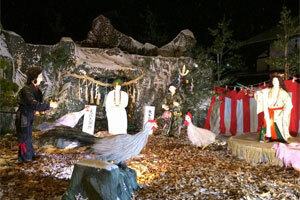 In this scene takes this theory, are made to appear the Nobushige. Keicho(Listening)5 year (1600) 9 month 15 day before dawn,Mino(Mino)(Gifu Prefecture) East squad and Ishida led by Ieyasu Tokugawa in SekigaharaSamsung(Samsung)Western troops, led by the lineup. Around the time of the morning 8 the thick fog rolls in, one of the Tokugawa Four Heavenly Kings IiNaomasa(Naomasa)The rush to the enemy first and foremost by holding their own long spear at the beginning of the "red with a good". Of decisive it becomes signaledGreat war(Oh sword?) OfCover for gun barrel(Cover for gun barrel)I was dropped off. The fight East squad enjoyed a large victory, got off to a big rudder to Tokugawa of the world. 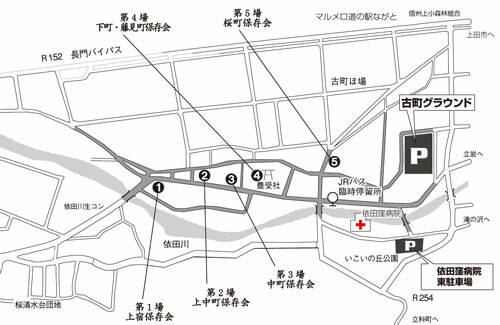 Ii house is to then support the Edo shogunate 265 year as Fudai daimyo largest. Totomi(Totomi)In the north of (Shizuoka Prefecture) Lake HamanaIi(Good)valley(The Ya)Influential lords Ii house governing is, to the Warring States period to the large feudal lords such as Imagawa TakedaMercy(Mercy)Is, a man who becomes the family head will be cut off on the verge lost their lives one after another. The rides over it became a "woman castle"直(Still more)tiger(Tiger)It is. Ii Naotora thing Jiro Hoshi isEngagement(Iinazuke)Of orphans - Toramatsu the future of the Ii family as a foster mother of (Naomasa after)Pastern(tuna)Ida. Resources in armed also scarce land, we should rely on his own wisdom and courage. Chokutora, rather than follow the man has decided rules, decided to live in their own judgment, ruled the country while opening up life on their own power, survived strongly to protect the lives of the young heir, the subsequent developmentFoundation(Foundation)It was built. Tensho(Tensho)10 year (1582), Chokutora closed his tumultuous life that survived the Warring States. It is estimated that around age at death 46 years old. It will be appreciated that had watched the success in Sekigahara of Naomasa that was nurtured as a mother-in-law to Ieyasu loyal. 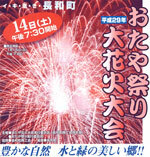 Oda and festivals large fireworks display will also be held at the same time.